Scores 22 Highway MPG and 16 City MPG! This Mercedes-Benz GLS boasts a Twin Turbo Premium Unleaded V-6 3.0 L/183 engine powering this Automatic transmission. Window Grid Diversity Antenna, Wheels: 19 5-Spoke, Wheels w/Machined w/Painted Accents Accents. This Mercedes-Benz GLS Comes Equipped with These Options Valet Function, Urethane Gear Shift Knob, Trunk/Hatch Auto-Latch, Trip Computer, Transmission: 9G-TRONIC 9-Speed Automatic, Transmission w/Driver Selectable Mode and Sequential Shift Control w/Steering Wheel Controls, Tracker System, Towing Equipment -inc: Trailer Sway Control, Tires: P275/55R19 AS, Tire Specific Low Tire Pressure Warning. 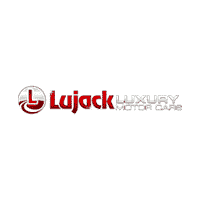 Visit Us Today Stop by Lujack Luxury located at 3602 North Harrison Street, Davenport, IA 52806 for a quick visit and a great vehicle! Polar White 2019 Mercedes-Benz GLS GLS 450 4MATIC® 4MATIC® 9-Speed Automatic V6 Android Auto, Apple CarPlay, DVD Drive, KEYLESS GO®, Multi-Color Ambient Lighting, Navigation Updates for 3 Years, Power Passenger Seat w/Memory & Lumbar, Premium 1 Package, Radio: COMAND Navigation, SiriusXM Satellite Radio, Smartphone Integration. Recent Arrival!